Ok, Larkspur is officially back at 99¢ on all platforms. This is after having the best month ever for free downloads- I’m at 1465 downloads on Amazon alone (not counting the B&N/Kobo downloads, or the ~700 insta-freebie downloads). That’s an astounding number of people potentially reading my work. I’m actually a little intimidated, but super excited for (hopefully) some new reviews in the coming weeks. I thought since Larkspur will now be free from Instafreebie in return for signing up to my newsletter, I’d better make it a buck everywhere else. I’m also planning on a few stand-alone stories that will be on the instafreebie mailing list page for free, but cost money on Amazon and everywhere else. Now will that be worth it? Am I going to go from over 20 downloads a day to nothing because of the cost of a candy-bar? I don’t know. Likely it’ll drop significantly. Maybe I should have waited until this freebie rush ended, but maybe it’ll be better with all the eyes on it? It’s been really fun though. I’m loving taking a forward approach with marketing and getting new eyes on my stuff. As 2016 is wrapping up I’m working on big plans for 2017. 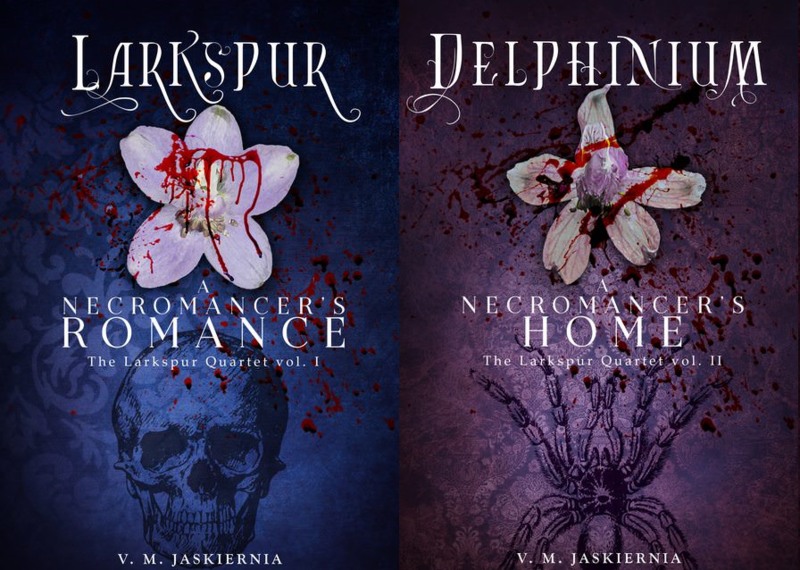 Delphinium will be out, and those on my newsletter will get an Advanced Reader Copy (it’ll be the same edition I send to my beta readers, so there may be small issues and some changes between it and the final edition, but nothing super major), and I want those stand-alone books done too. I want to sketch out and get a good chunk of The Wolf Within done, not to mention start (and finish?) Aconitella, the third book in The Larkspur Series. Yes, I know it’s a lot of work, far more than I’ve managed to do before, but I’m feeling good. A lot of my symptoms and issues with depression and OCD are getting under control. I changed my diet, I’m (trying to) remember my meds.. I know I’ll still have bad days, maybe a bad week here or there, but if I feel as good as I do today, I think I can make writing more of a proper full-time ‘sit down and work’ thing. So yes- Happy New Year to all, I hope you meet your goals and plans. I’m being a bit ambitious, but if I even get half of what I want done I’ll be pleased. And I hope you all will be too.